While visiting the Lighthouse on the Naval Base I took this photo. When I got home and uploaded the photo to the computer you can plainly see the outline of what appears to be a woman. There wasn't anyone standing there at the time this pic was taken. 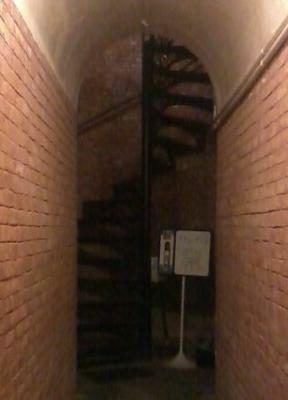 There is also believed to be a ghost of a slave boy trapped under the stairs inside the lighthouse.